This noble gentleman sits outside of a cowboy bar in Austin called The Broken Spoke. I have serious doubts as to its effectiveness as either a mode of transportation or a shelter from the elements, but I assume it is assigned to neither purpose. 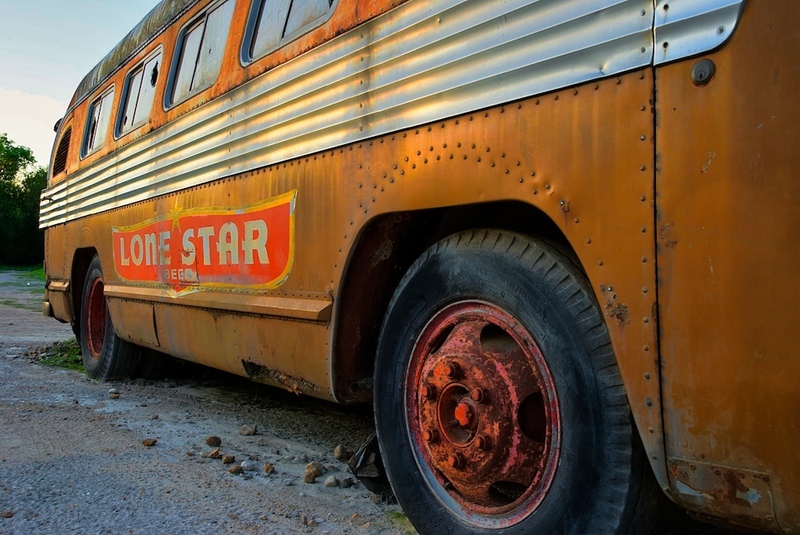 I believe it was a bus used many moons ago by The Texas Top Hands Western Swing Band (since that is painted on the front) and now it is a symbol of what is arguably one of the best known little country dance halls down in Texas. Put on your boots and throw back a Lone Star - and welcome to Austin.